If you have been to an event or farmers market around the Orlando area over the last few years you could not have failed to have seen one of the Tamale Company food trucks. Their trucks are emblazoned with the fact that this is Authentic Mexican Street Food as they tempt you to “Unwrap the Original Taste”. Obviously as their name announces their signature product is the Tamale, a Mexican dish that has its roots way back in a pre-Hispanic era. The Tamale Company hand craft theirs with top quality Masa and fill them with a variety of ingredients from quality local meats to fruit and vegetables and then wrap in a corn husk and combine with delicious housemade sauces and salsas. 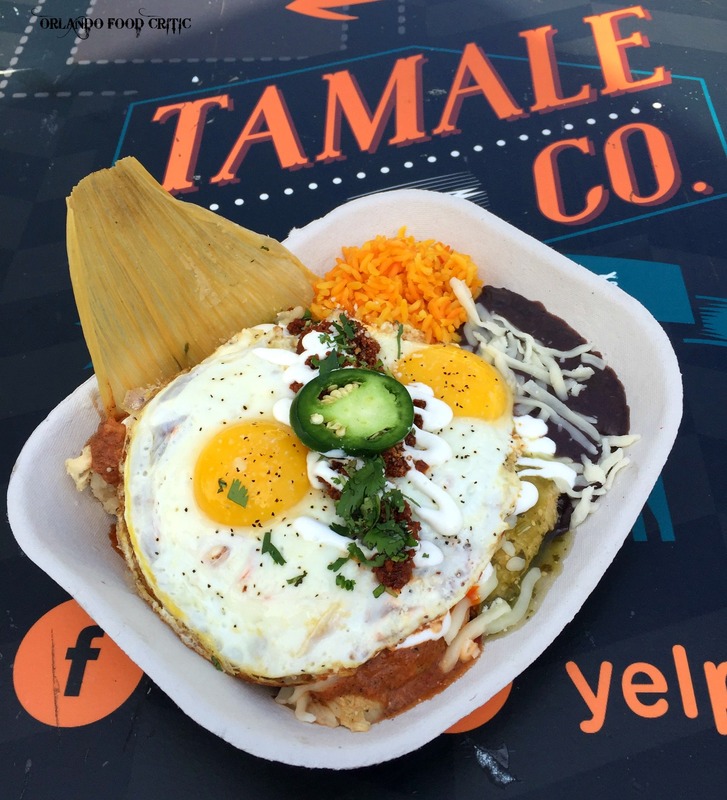 We caught up with the Tamale Company at the Winter Park Farmers Market and could not resist the Tamale Sunrise – Two Chicken Tamales, Salsa Verde Sour, Cheese and Two Sunny Side Up Eggs, Refried beans, Rice and we added Chorizo. A breakfast feast, the earthy Masa blends perfectly with the tender chicken and spicy sauces, this could become a regular Saturday morning must have. Breakfast Taco – Scrambled Eggs, Chorizo, Pico de gallo and Chihuahua Cheese. Street food done just right, don’t leave an event without one. Tamale El Pastor – Marinated Pork with Pineapple and Onions, topped with Red Hot Sauce, Cilantro, Onion, Pineapple and a Lime wedge. All our Mexican friends love a taco El Pastor. Ever tried a Tamale version? You are missing out if you don’t get one soon. Tamale Co have lots of other Mexican Street Foods to try including vegetarian options, we are still working our way through the menu. 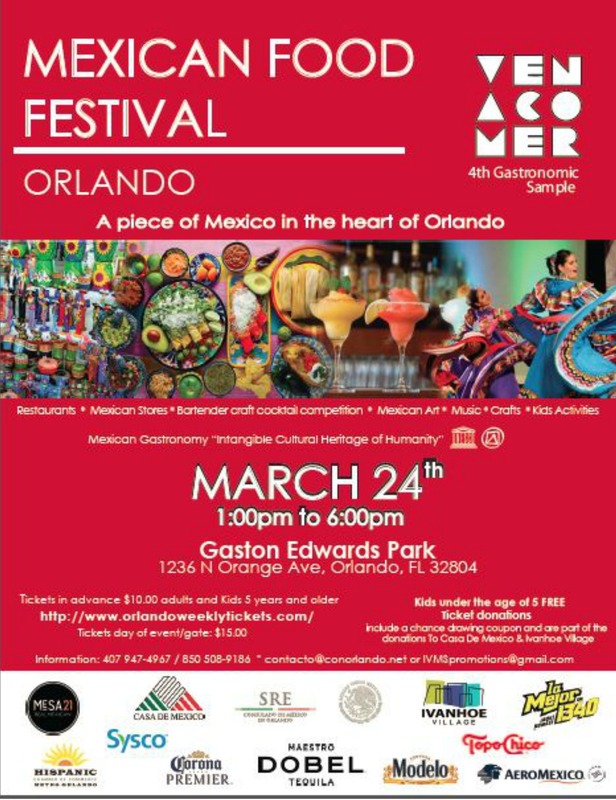 You will be able to try the delights of The Tamale Company at the Orlando Mexican Food Festival in Gaston Edwards Park in Ivanhoe Village on Saturday March 24th where they will join selected restaurants to display the amazing Mexican cuisines that Orlando has to offer. They also have a bricks and mortar location at 1006 East Altamonte Drive Suite 1002 Altamonte Springs and food trucks at many other events including Winter Park Farmers Market, Orlando Farmers Market and Winter Garden Farmers Market plus many more locations. Tamale Company are also happy to cater your event. The guys at The Tamale Company are a testament to the fact that hard work and delivering a quality product, even if it is from a food truck, pays dividends and has now created almost a “Cult” following for them. Great People, Great Food, we predict a Great Future.